It took only two races after her year-long injury absence for Canadian middle and long-distance runner Sheila Reid to qualify for the women's 1,500 metres at the world track and field championships this summer. 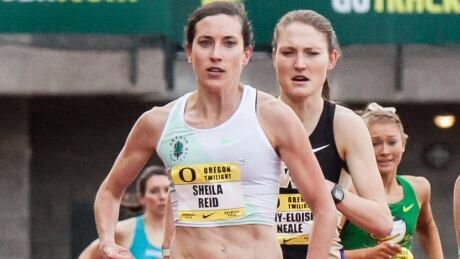 After spending a year battling back from injury, Sheila Reid resumes her comeback at Thursday's USATF Middle Distance Classic in Los Angeles, where the Canadian runner will try to meet the qualifying standard for the world championships in London this August. 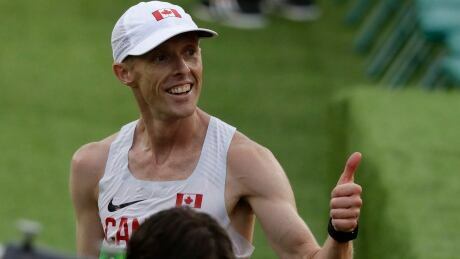 Despite competing in the deepest sport at the Olympics, many of Canada's top distance runners are no longer happy unless they win medals. 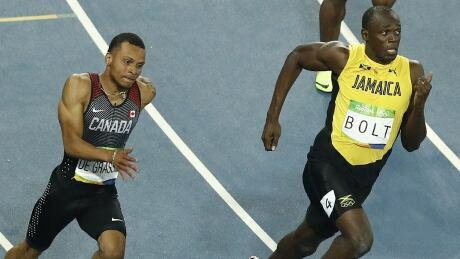 Andre De Grasse alone met Athletics Canada's stated goal of two or three medals at the Rio Olympics while three others also reached the podium in track and field. 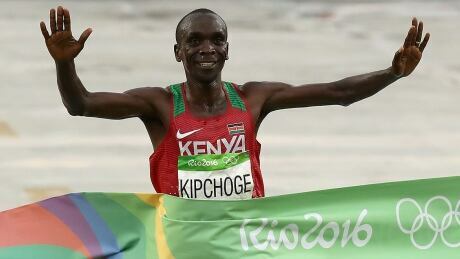 Kenya's Eliud Kipchoge completed his collection of Olympic marathon medals by winning gold, while Eric Gillis delivered a rare top-10 result for Canada on the closing day in Rio. American swimmer Ryan Lochte says he over-exaggerated what happened at a Rio de Janeiro gas station and acknowledges it was his "immature behaviour" that got him and three teammates into a mess that consumed the final days of the Olympics. 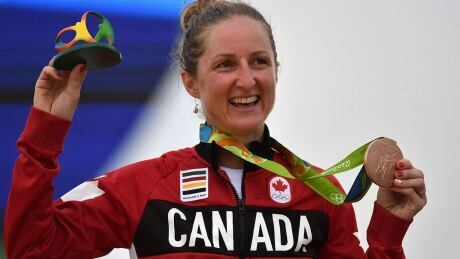 Catharine Pendrel's mountain biking bronze pushed Canada's total to 22, tied with the effort at the 1996 Atlanta Olympics for second-most at a Summer Games. Here's how Canada did on the penultimate day of the Rio Olympics. 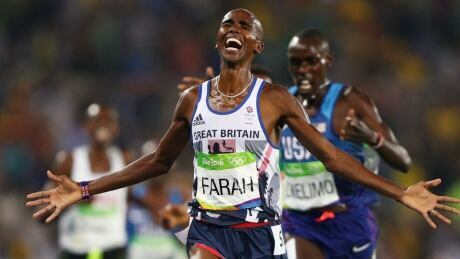 Britain's Mo Farah won the men's 5,000-metre final on Saturday, his second gold medal of the Rio Olympics, while Canada's Mohammed Ahmed came in fifth. 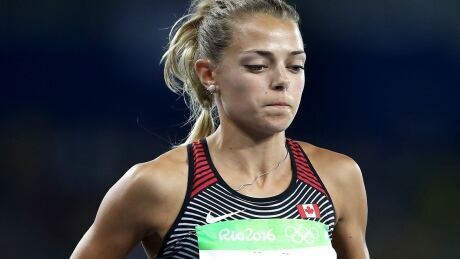 Canada's Melissa Bishop turned in a national record but could not hold off Kenya's Margaret Wambui, who passed her en route to a bronze medal in the women's 800-metre final. 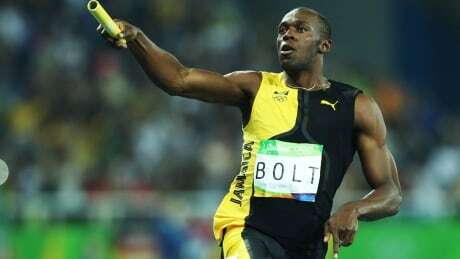 Usain Bolt turned a close 4x100-metre relay race against Japan and the United States into a typical, Bolt-like runaway, helping Jamaica cross the line in 37.27 seconds. You are currently browsing the archives for the Sports/Olympics/Rio Olympic 2016/Track-field category.